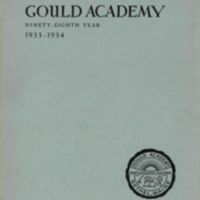 Annual catalogs describing the curriculum, facilities, programs, etc. 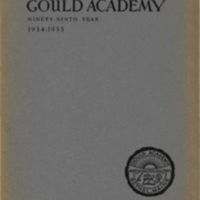 at Gould Academy in Bethel, Maine have been published since the school first opened in 1835 under the name "Bethel High School." Early catalogs also listed the names of students enrolled at the school. 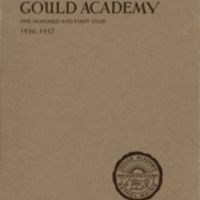 We have an incomplete collection of annual catalogs of Gould Academy. All available issues between 1835 (the earliest catalog) and 1937 (the last available catalog containing a list of students) have been digitized and are available online.